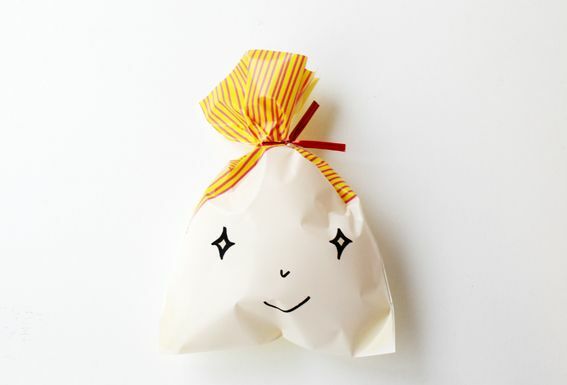 An ordinary plastic bag becomes a cute one with the help of some pompoms and a little mt tape. 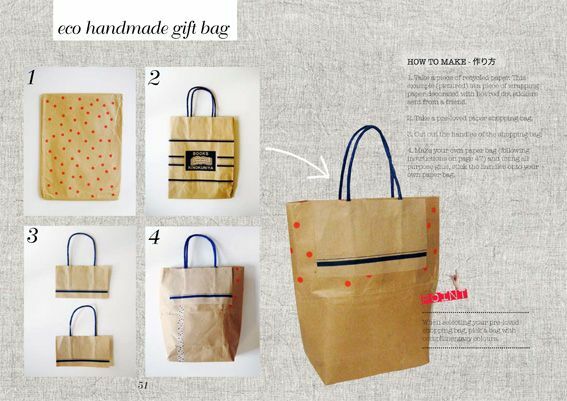 Maybe I can use these altered handles for another bag in the future! 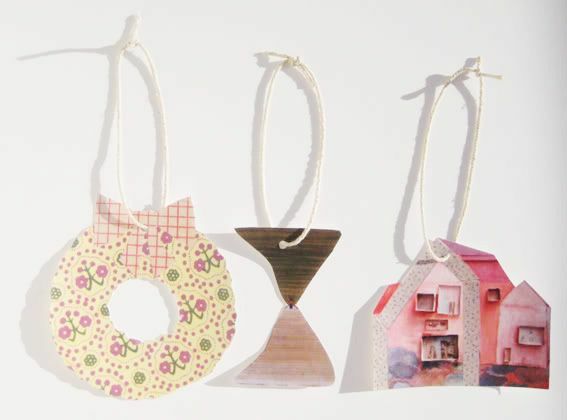 It's fun to make craft from items which would usually be discarded! 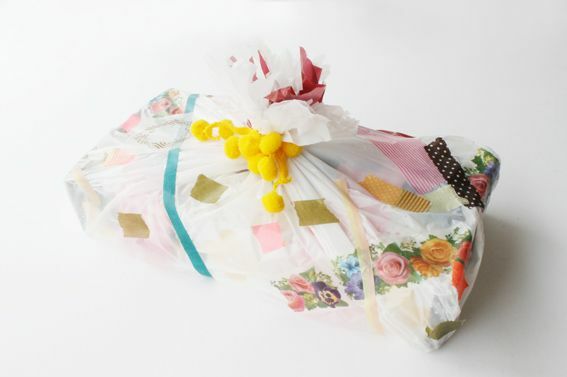 Hello Sandwich Wrapping for Martha Stewart! Oh. My. Goodness. 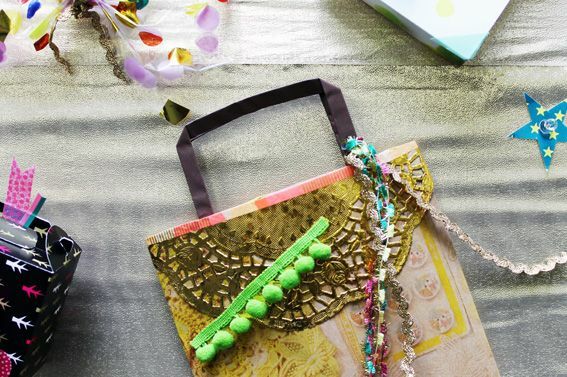 I can not believe that my wrapping is on Martha Stewart's Website! It is one of my dreams come true. 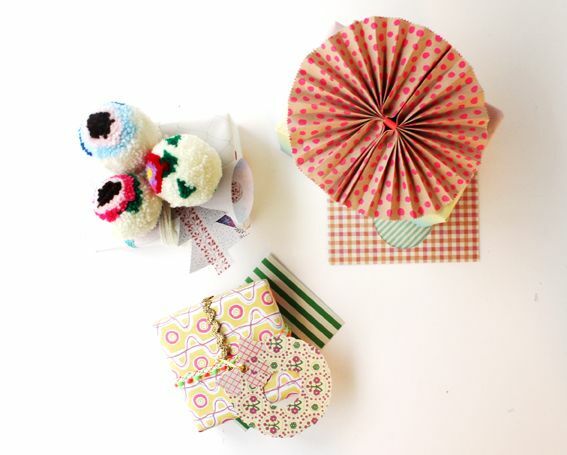 I was one of four craft bloggers asked to take part in the 'Gift Wrap Challenge'. I could not believe it when I received the email! 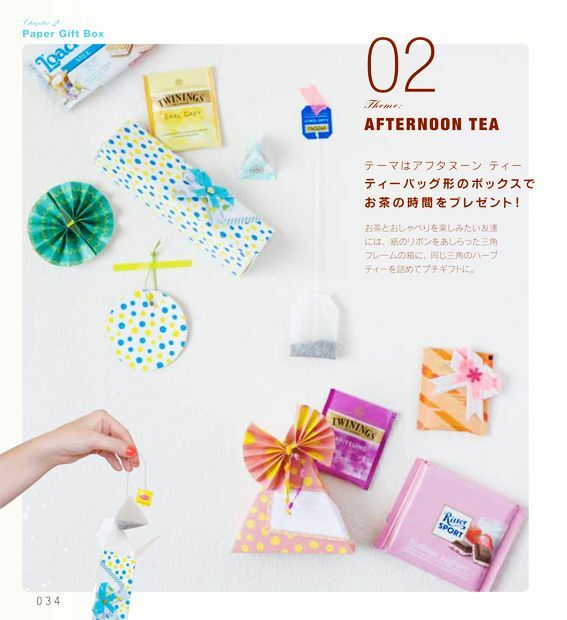 Martha Stewart's team knew about Hello Sandwich~?! Waou I was so ureshii! 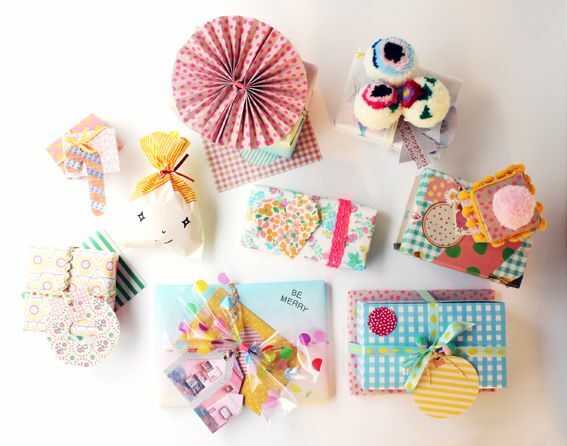 It was such a fun project to work on and I hope you can enjoy some of the wrapping ideas. 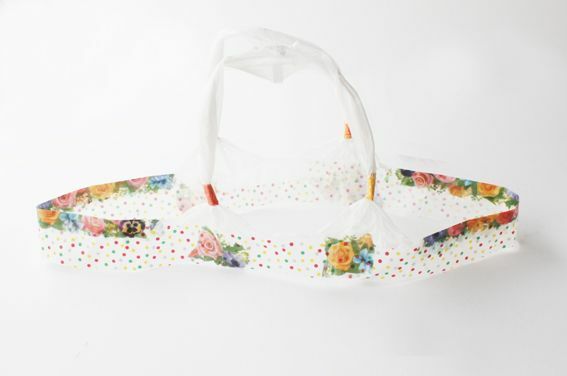 You can see more of my wrapping here. And Sandwiches, could I ask you a favour? 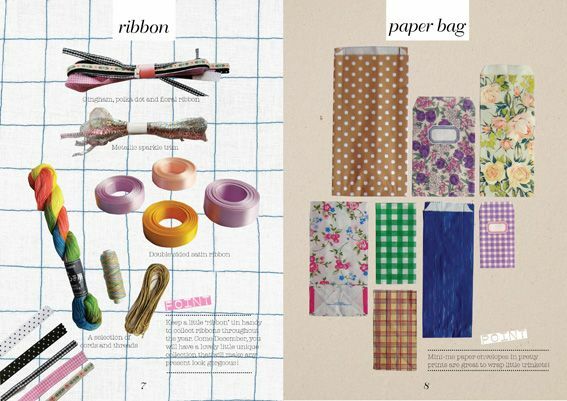 Would it be possible, if you have a spare second, to visit Martha Stewart's Crafts Dept. 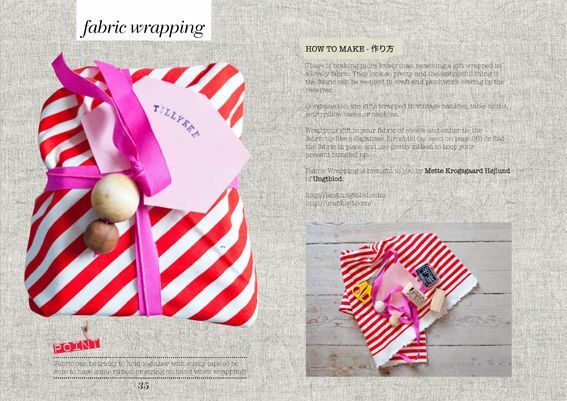 Website and vote for your favourite wrapping? You can vote here pretty please! It would be so lovely if you didn't mind. It's just one click voting - no need to sign in or anything! I am sorry to ask for your time. Do you remember the Japanese book I made with two other authors? 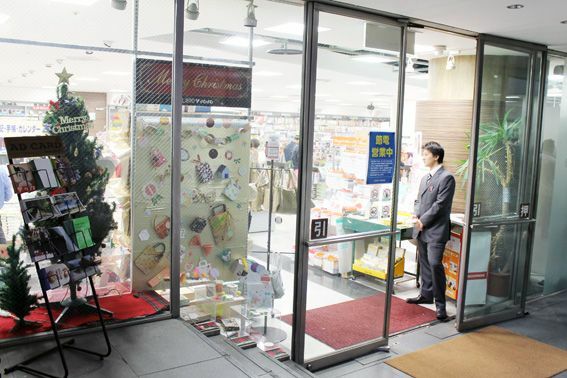 Well, we were able to work with Libro bookshop in Aoyama to do a series of workshops and a window display for our book. 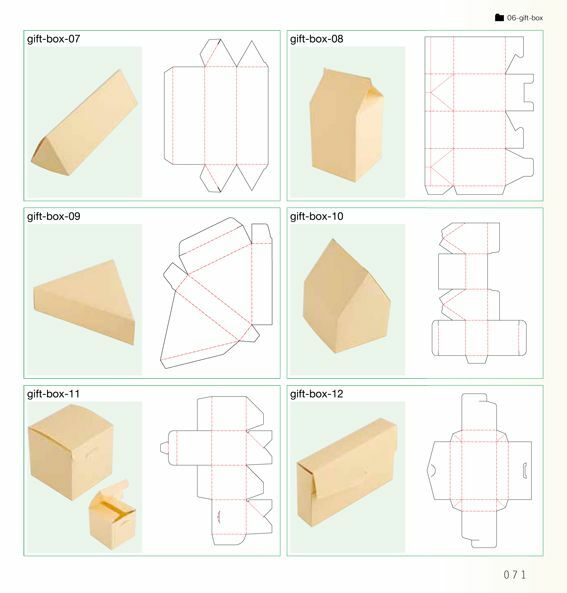 If you're around, pop on it to see some of the cute boxes and envelopes you can make using the materials and templates from our book! 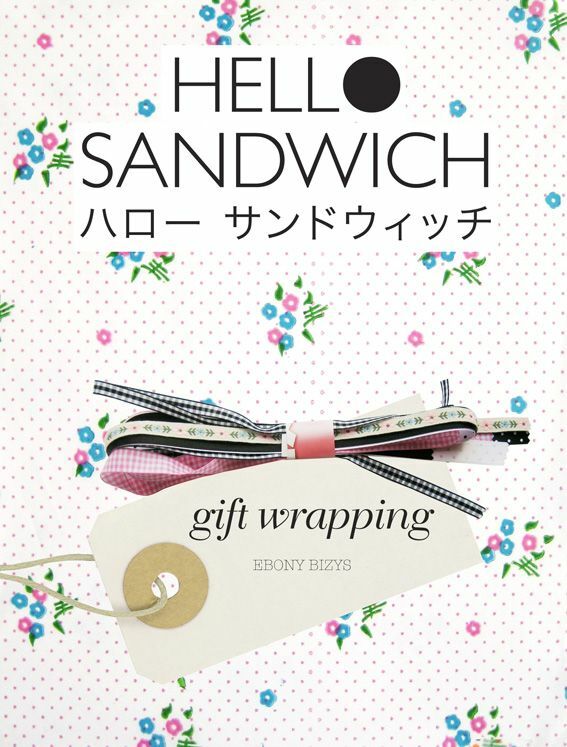 The Hello Sandwich workshop will be at Libro Aoyama on 29th November from 7pm. There is a small materials cost of ¥500 but that's all! 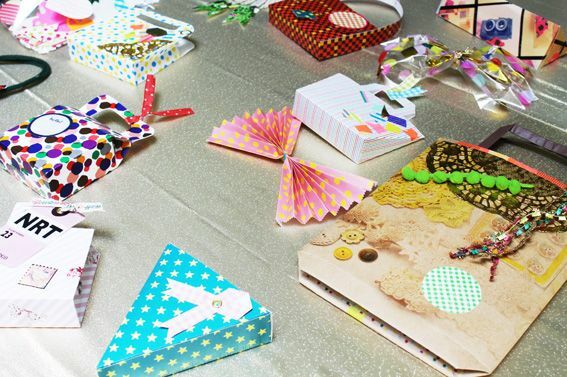 And you can come along and make a book cover, a little house shaped box and time depending, some other cute wrapping things too like corsages etc. There are ten spots so be sure to reserve and collect your little ticket. Just pop into the shop, or call to reserve your ticket. 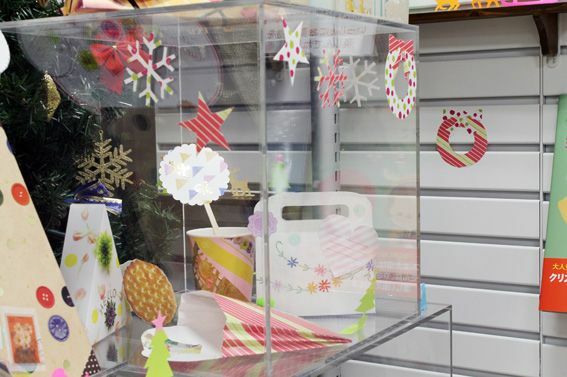 Killigraph-san (one of the other authors) will have his workshop on 6th December and he will show you how to make some of the cute cut outs he is so well known for - this time in Christmas theme. 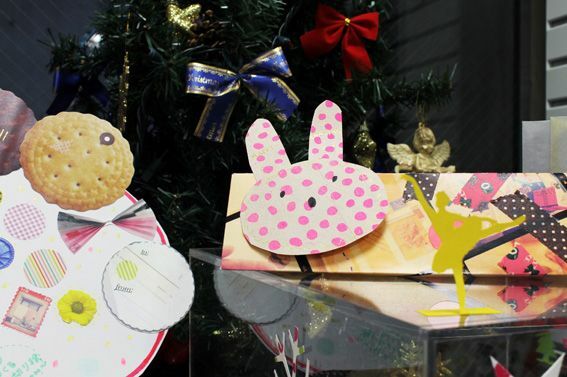 Imagine how cute your Christmas cards will look with mini cut out Santas! 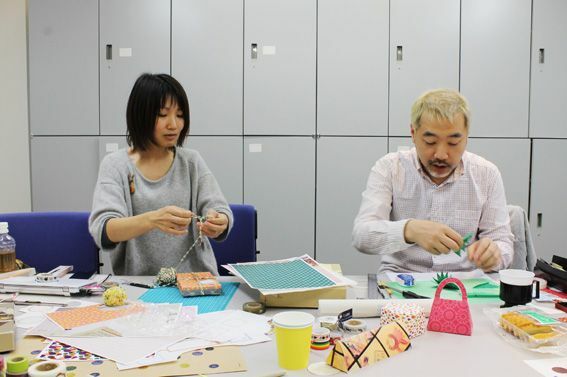 Shimizu-san and Killigraph-san and I met a few days ago at our publishers office to get a head start on making up some gift wrapping examples for our display. I kept pinching myself that this is how my meetings look these days! No excel spreadsheets, no planning grids (no offence VL! I still miss you all! 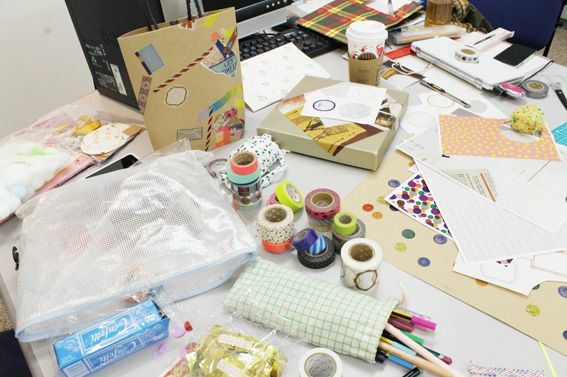 ), but those things had been replaced with mountains of mt tape, scrap paper, shaped hole punches and, the most necessary item in my 'kit bag' - tape glue! Our publisher brought us Christmas themed coffee from Tully's. No sooner than he had dropped them off we had cut up the Tully's carry bag to use the handles for our own gift wrapping paper bags! 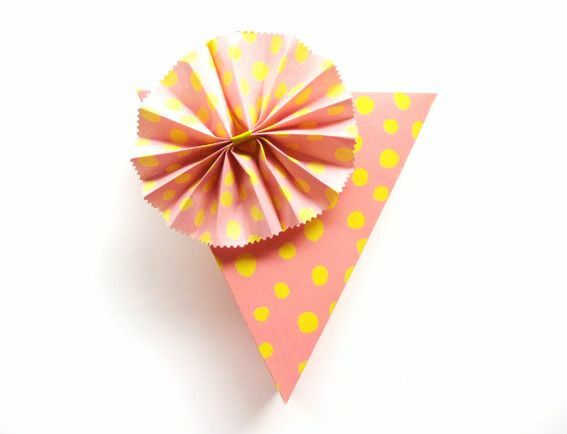 That's the fun thing about our book - you can use everything and anything in conjunction with our materials to create fun and unique wrapping! 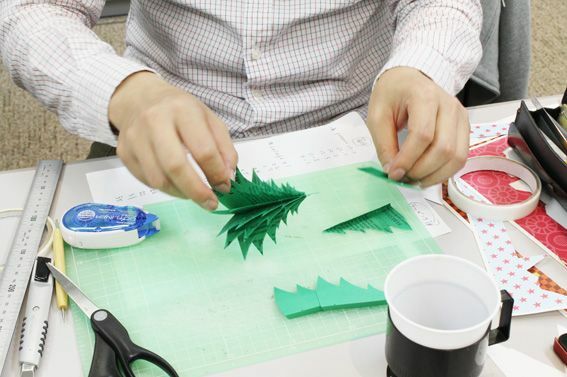 Killigraph-san hard at work on his cut out Christmas tree. He really is the cutting master. 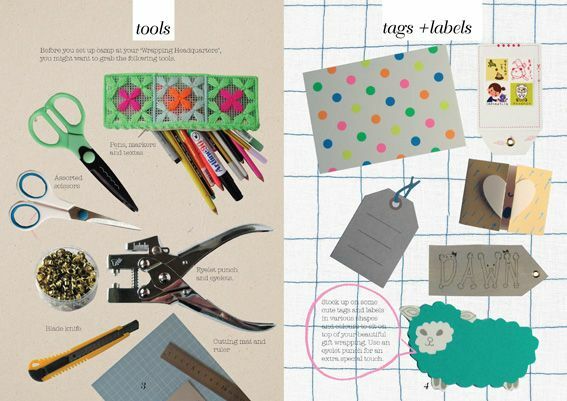 Do you know he cuts out the box templates from our book with a blade knife but no ruler! OMG I know! 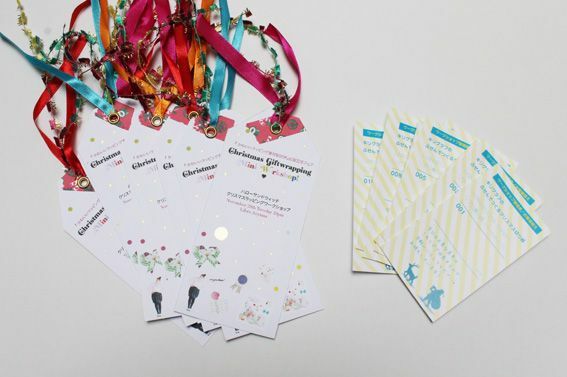 Tickets (ten each) to our workshops at Libro Aoyama. Killigraph-san putting the final touches to our window display. 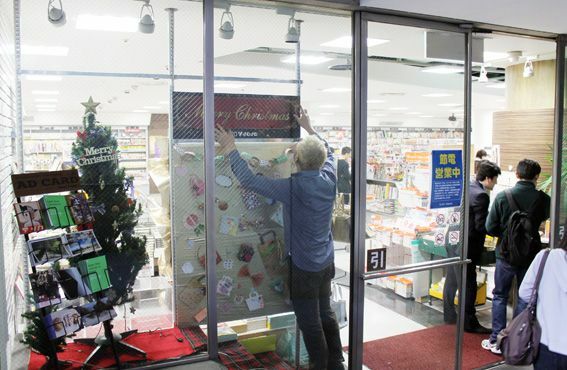 I enlisted Shimizu-san to write the Japanese text on the pop up sign. My Japanese writing looks like kids writing and is very embarrassing! This little bunny is actually made from my new 'It's Dots!' 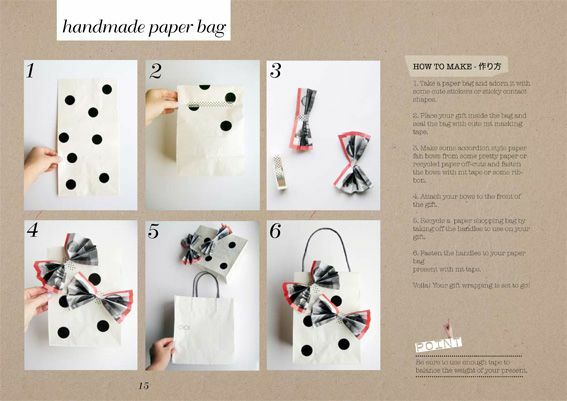 wrapping paper which you can buy online here. Shimizu-san and Segawa-san taking instagram photos of our display! The staff at Libro Aoyama made this lovely little ribbon sign to promote our new book! 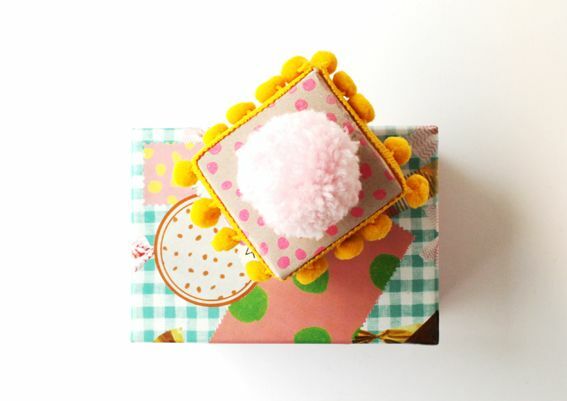 Would you like to make a little cheese shaped box like this? 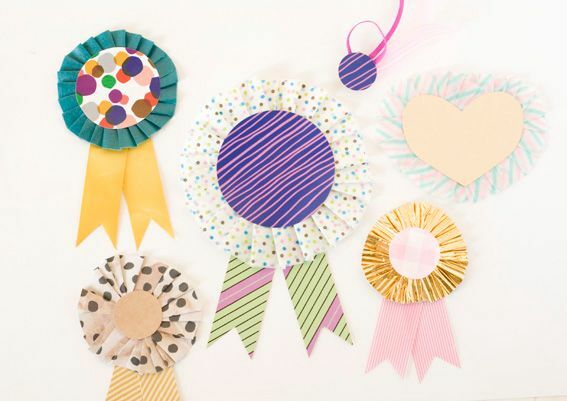 Well, below is a template and a ribbon collage for you to print out to make! 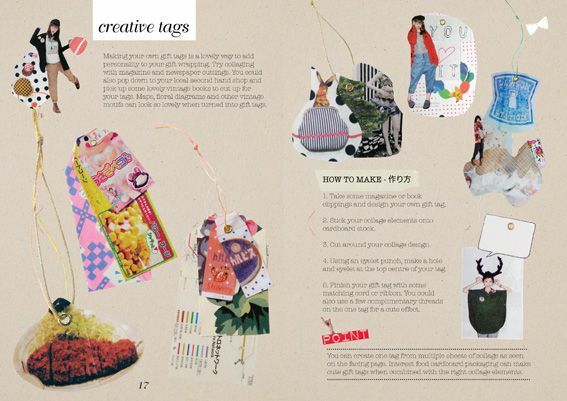 It's a little sample for you from our new Gift Wrapping Materials book! 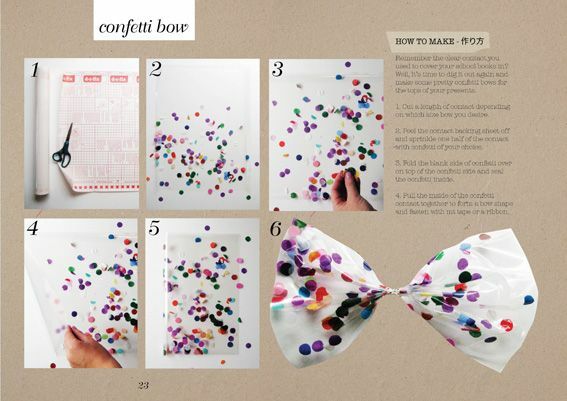 Just print out the template on one side of a piece of A4 cardboard stock, and print out the ribbon collage on the other side of your box. Then, using a bone folder (Dad! That one's for you ;) and a metal ruler, score along the folding lines. 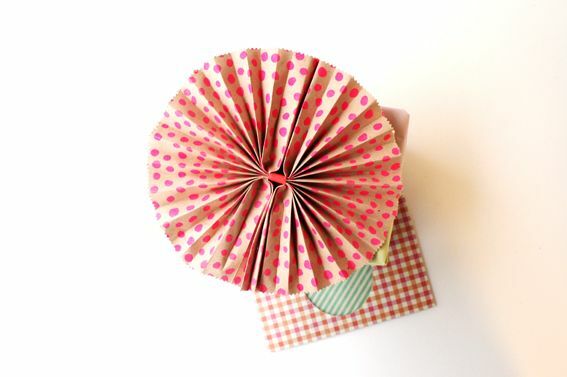 Cut out the box shape with scissors or a blade knife and ruler and seal the edges with some tape glue. 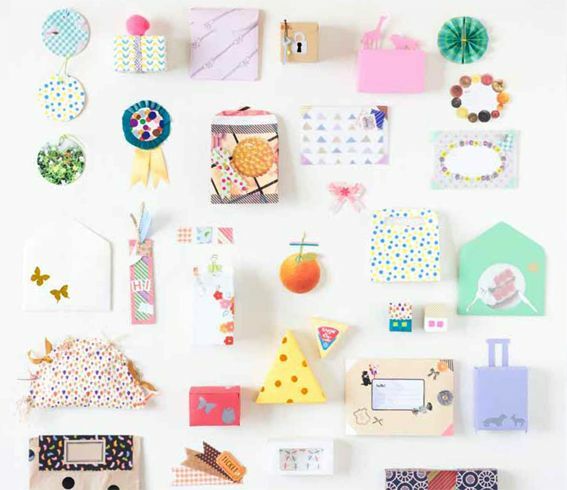 And voila, you have yourself a cute mini present box! So...The winner is Prudence Lansell! Congratulations Lovely! Prudence, can you send me an email with your postal address? 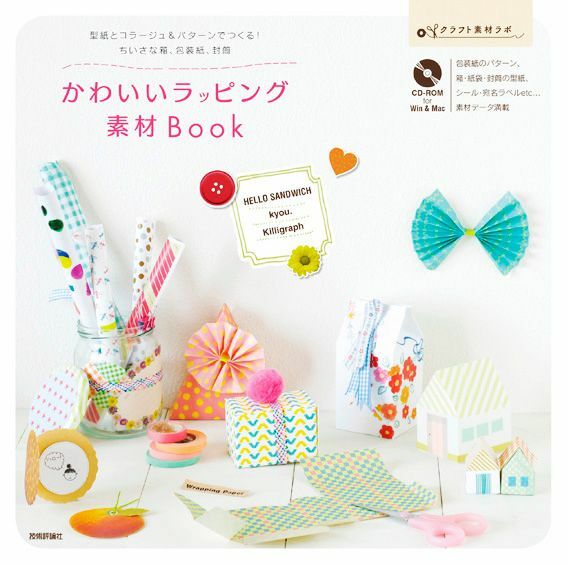 The Japanese craft book I made with two other authors is on sale in a few days! You may have seen the sneak peek video of behing the scenes making. I'm so excited I can finally tell you all about it. I worked with an incredible bunch of people. 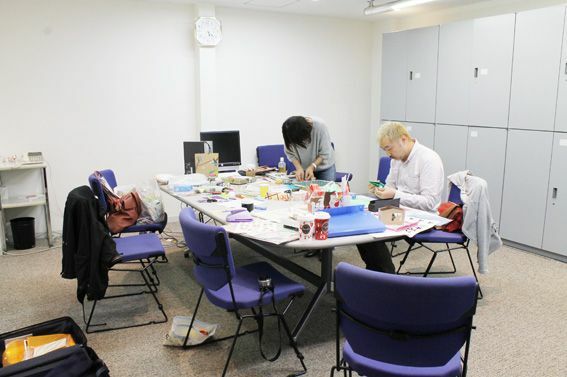 Tachibana-san, Killigraph-san, Shimizu-san, Kyou-san (she has designed patterns for mt tape!) and Boco-chan. 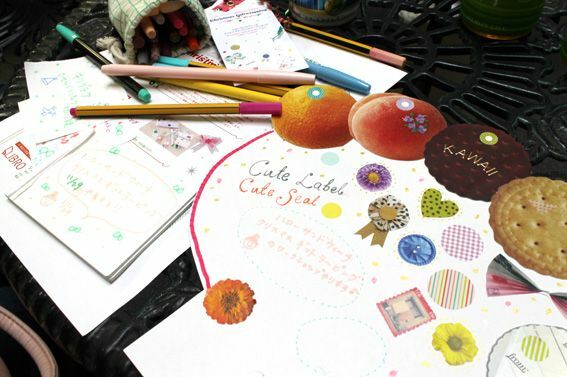 Together we made かわいいラッピング素材BOOK. 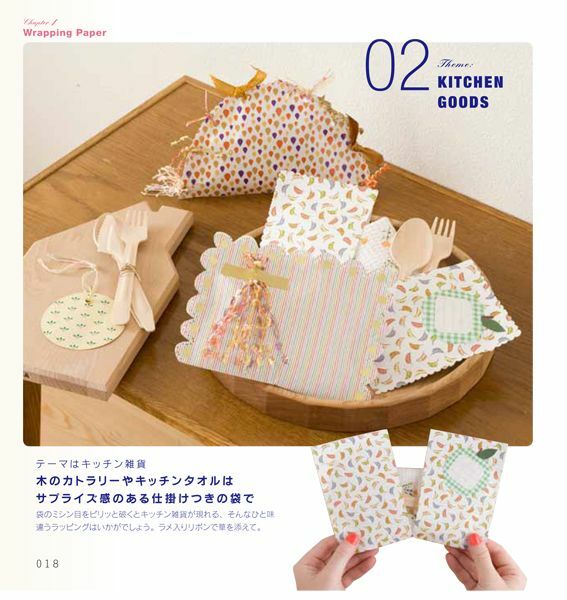 It' s a book filled with all the cute materials you need to make cute wrapping and comes with a CD-rom with templates for envelopes and boxes of all shapes and sizes made by Killigraph-san. 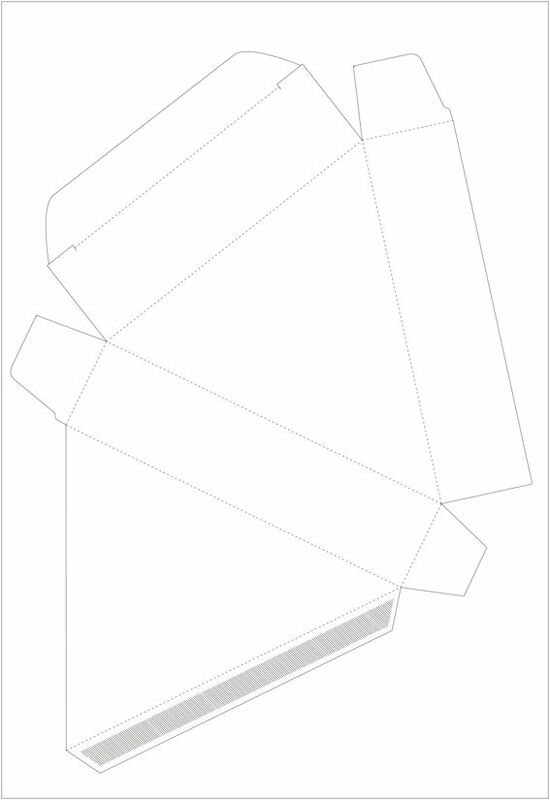 The templates all fit to an A4 sheet of paper so it's super easy to print and if you'd like to make them bigger you can easily enlarge on a photocopier. 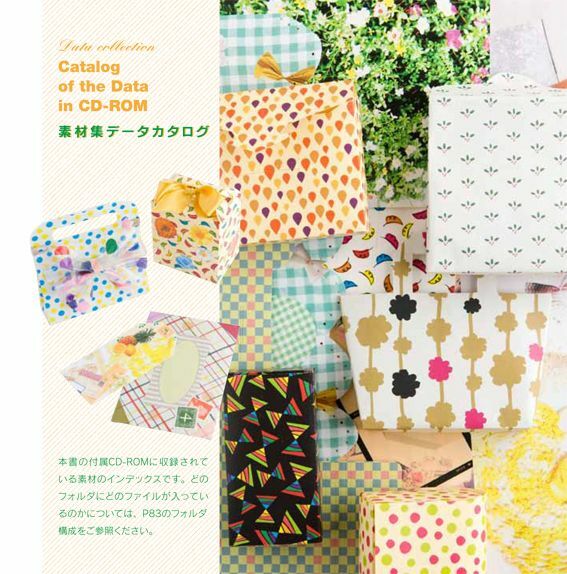 The CD-rom also has heaps (some aussie slang) of beautiful patterns designed by Kyou-san so you can print out your templates with patterns. 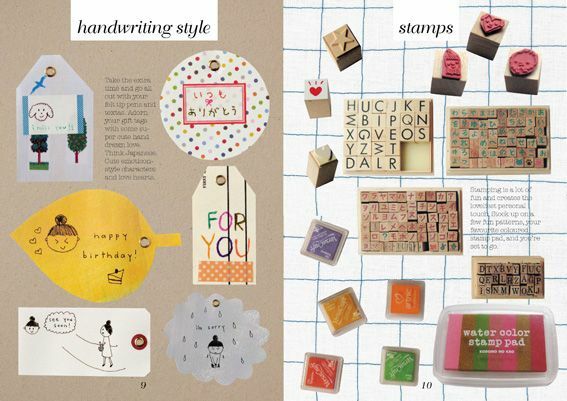 And I made a collection of collages that you could print out on your templates too. 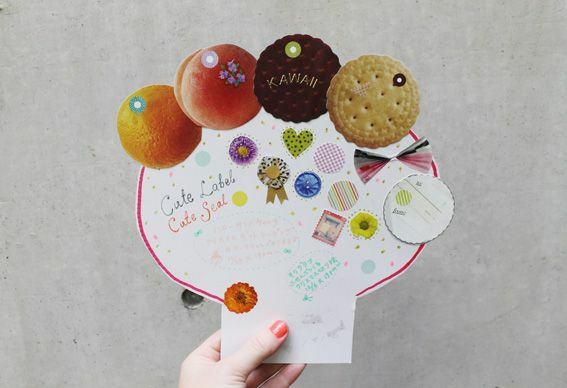 One of the collages is a scatter of my craft pom poms and another is a little arrangement of flowers from my local Ozeki supermarket in Shimokitazwa. 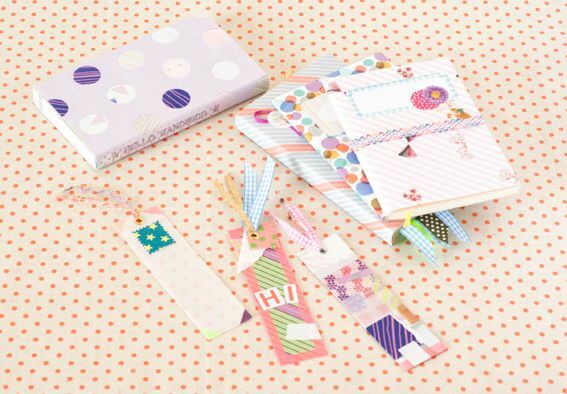 I thought it could be cute to see these printed on an envelope or mini box. 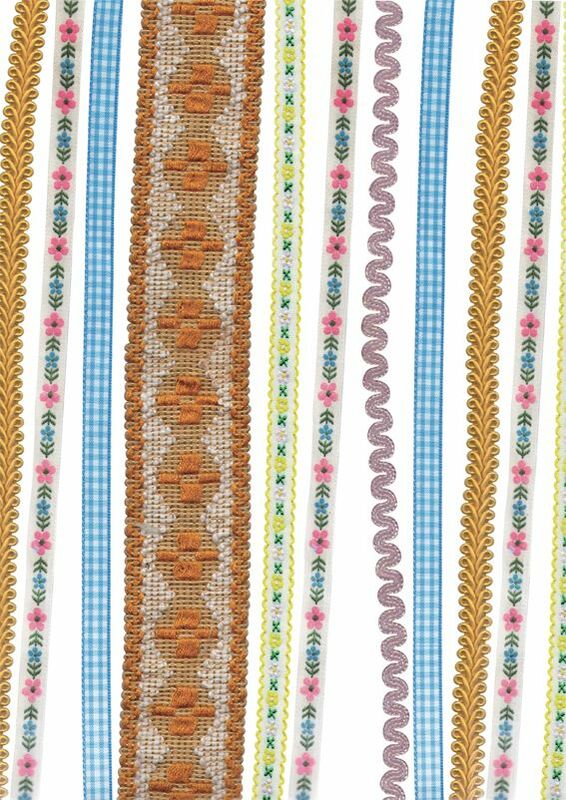 All of the patterns you see in these pictures (plus many more) are provided as image files on the CD-rom. 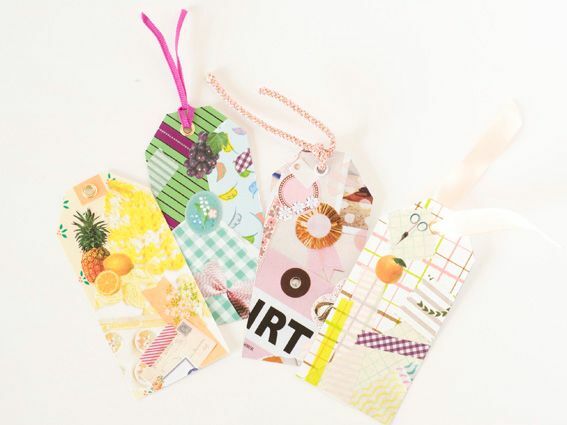 Together we also made heaps of labels, stickers, seals and sticker strips so that you can print out on sticky back label paper and have fun decorating your packaging! There are hours of fun in this one book! 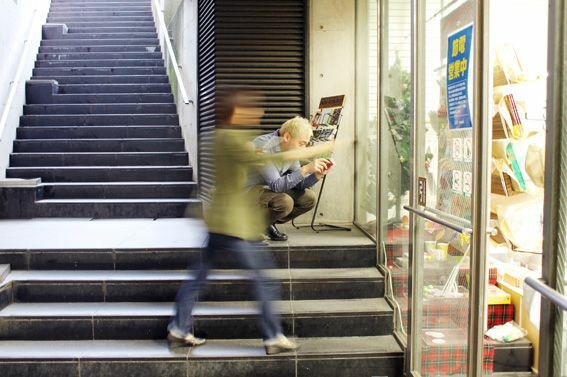 As I was making the wrapping for the photoshoots I took photographs of the steps and work in progress. 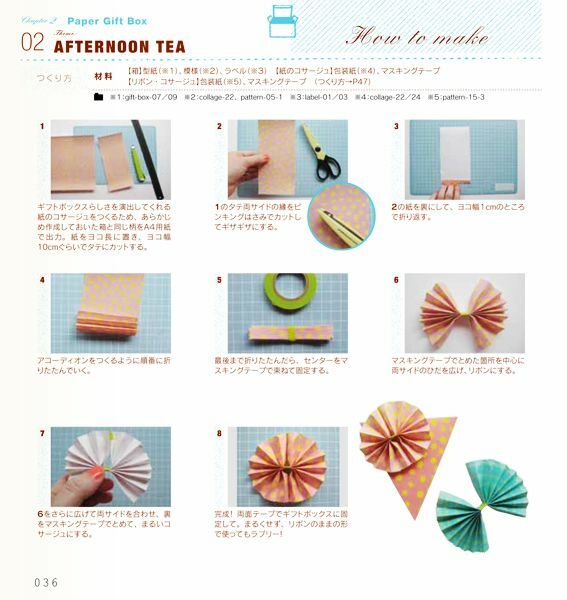 These are all shown in the book so even if you can't read Japanese, it's very easy to follow the how-to-make instructions. Our book goes on sale on 13th October. If you would like a copy you can order one online here. AND. I would LOVE to giveaway a copy to a lovely Hello Sandwich reader. All you have to do is leave a comment below and I will draw a winner on Thursday 20th October! Update: Thank you all so much for entering the giveaway and for your super kind words! The giveaway is now closed. 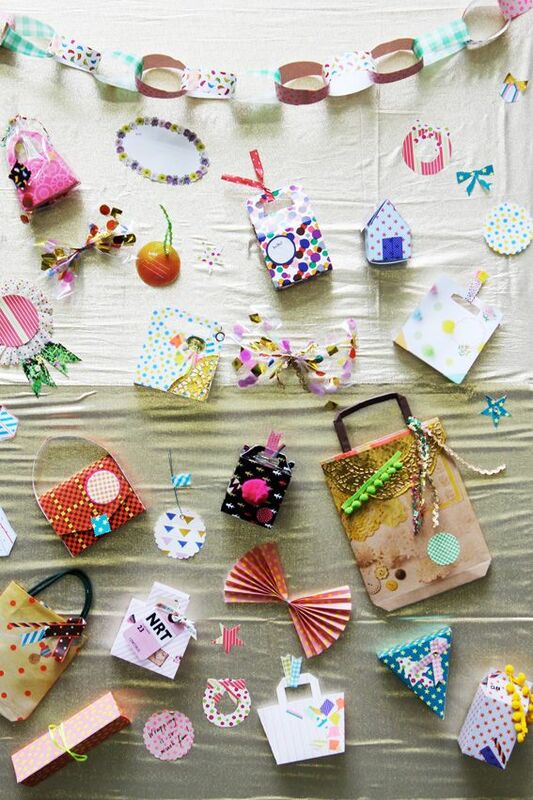 Hello Sandwich Gift Wrapping Zine Launch! This is a little sneak peak at something I've been working on lately. My new zine! 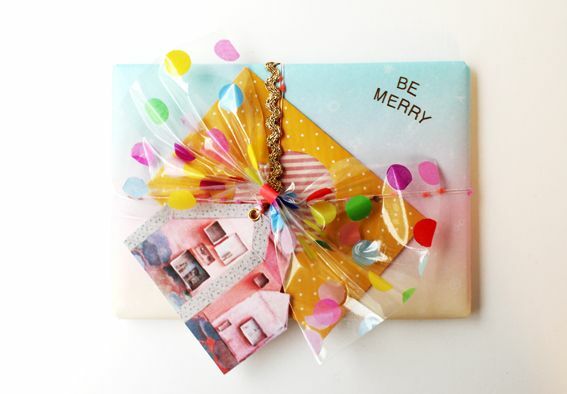 The Hello Sandwich Gift Wrapping Zine is filled with 64 pages of inspiration and how-to guides to make any present look super cute! 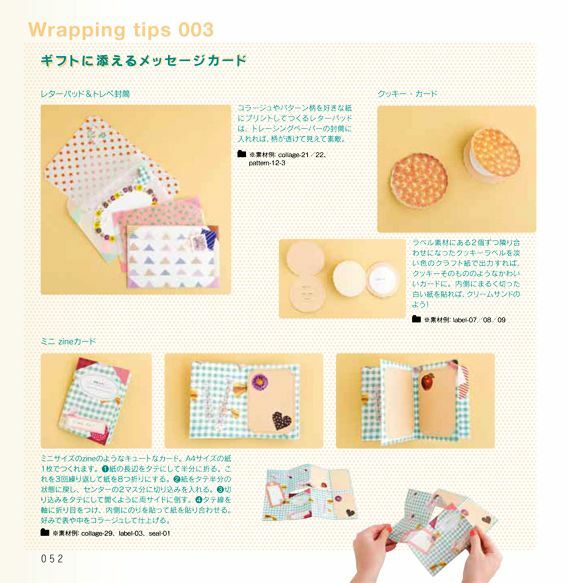 I hope you will enjoy the Hello Sandwich Gift Wrapping Zine! Here is a little sneak preview of a project I've been working on lately! P.S. This song is by cute Japanese band Capsule.